Content Marketing, Article Marketing, Product Marketing–they’re all connected. The language of business success. Where are companies finding this success? 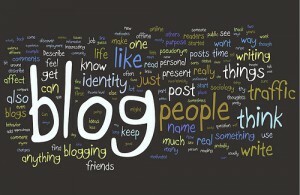 It’s not a simple answer, but a lot more people are asking, What is a blog? “How do I blog? Why do I need to pitch bloggers and do guest blogs. As a component in a well crafted public relations campaign, content marketing and SEO are synonymous with good press releases and back link efforts. And, blogging is almost a “must have” to gain market traction online. Wikipedia Defines Content Marketing: A marketing format that involves the creation and sharing of media and publishing content in order to acquire customers. A Content Marketing Institute study says over 90% of Business-to-Business (B2B) and 86% of Business-to-Consumer (B2C) marketers use one or more methods of Content Marketing. Consider this trend a favor as Content Marketing is considered by many as less intrusive than advertising. It allows the consumer to find you easily as opposed to you tracking the customer. The Internet makes Content Marketing possible and exploding social media trends only fan the fire for the effectiveness of content marketing. This Utah-based Public Relations firm has made Content Marketing, Blogging, and SEO a staple of public relations best practices.